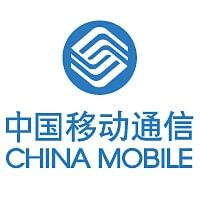 China Mobile, the world’s largest mobile network operator with close to 700m subscribers, is to demonstrate its NFC payments platform for the first time on 5 December at its Worldwide Developers Conference. China Mobile describes its NFC mobile wallet service as a “multi-application open platform”. Customers’ secure credentials will be stored in the SIM card of an NFC phone and the platform will provide support for bank card, bus ticketing, campus, corporate ID and membership card applications. Advertising and anti-counterfeiting applications will also be supported. China Merchants Bank, China Construction Bank and Shanghai Pudong Development Bank as well as payments network China UnionPay are all working with China Mobile to introduce NFC payments. Commercial services are due to begin in twelve Chinese provinces from February 2013. Eight NFC handsets will be available to subscribers at launch, the carrier’s Xiong Hui revealed last month.